This week, 28 million copies of a right-wing, terror propaganda DVD are being mailed and bundled in newspaper deliveries to voters in swing states. The 60-minute DVDs, titled Obsession: Radical Islam's War Against the West, are landing on doorsteps in a campaign coinciding with the 7th anniversary of the Sept. 11 attacks. Funding is coming from a New York-based group called the Clarion Fund, a shadowy outfit whose financial backers are unclear. The program was originally shown on Fox News in the days leading up to the 2006 mid-term elections, and far right-wing activist David Horowitz toured the country screening the film on college campuses during 2007. Mainstream religious groups have called Obsession biased and divisive. It cuts between scenes of Nazi rallies and footage of Muslim children being encouraged to become suicide bombers. Talking heads in the film include infamous anti-Muslim, self-proclaimed "islamophobes" like Daniel Pipes and Walid Shoebat. In 2001, Pipes claimed the "presence" and "enfranchisement" of Muslims in the U.S. presented "true dangers to American Jews." Shoebat is an evangelical Christian who falsely claims to be a former Muslim terrorist. Last year, Shoebat told the Missouri Springfield News-Leader, "Islam is not the religion of God - Islam is the devil." As detailed in an OffTheBus report on HuffPo two days ago, the DVDs were distributed last weekend in national editions of the New York Times and Wall Street Journal within selected swing states. These included Ohio, Pennsylvania, Michigan, Colorado, Iowa, Florida, Wisconsin, Nevada, New Hampshire and Virginia. 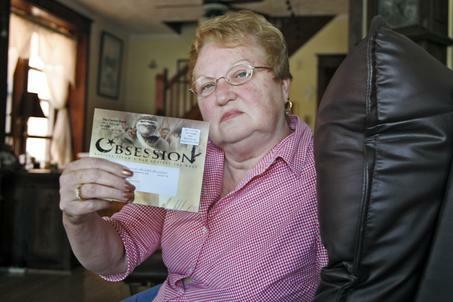 Sally Lopez of Lemoyne, PA displays a copy of the DVD that came in the mail. Here in North Carolina, another battleground state that John McCain must win to reach 270 electoral votes, 160,000 copies of the DVD are to be distributed tomorrow by the state's leading newspaper. The Raleigh News & Observer reported yesterday on its Under The Dome politics blog that the paper is preparing to bundle copies of the DVD with this Saturday's newspapers. Jim McClure, vice president of display advertising for the N&O;, said the "ultimate decision" to distribute the DVDs had been made by publisher Orage Quarles, and compared the propaganda to harmless household samples. "'Obviously, we have distributed other product samples, whether it's cereal or toothpaste,' he said. He declined to say how much the agency paid." The News & Observer recently announced deep buyouts and layoffs for its employees. It is owned by the struggling McClatchy news chain, which is slashing newsroom jobs and pages at the papers it owns around the country. Advertising revenues have plummeted during the ongoing economic downturn, and it appears the N&O; is now auctioning off its journalistic integrity to the highest bidder. "A box of cereal? Toothpaste? Does a box of cereal or a tube of toothpaste encourage me to look with hatred and suspicion on my law abiding neighbors who have a different religion than mine? Does cereal and toothpaste lead to pogroms, religious harassment, fear and intimidation? The trailer for this video is about hate, pure and simple, and shows the video has only one goal -- to instill fear and hatred of neighbor against neighbor. If I receive this DVD in my paper, that day, after 22 years of receiving the N&O;, will be the last day of my subscription. Please, please reconsider this decision!" "On Wednesday, though, there was an article on the group's new Web site, www.radicalislam.org, that backed Republican presidential candidate John McCain. The article discusses both candidates and concludes: "McCain's policies seek to confront radical Islamic extremism and terrorism and roll it back while [Barack] Obama's, although intending to do the same, could in fact make the situation facing the West even worse." According to Clarion Fund director of communications Gregory Ross, the article "crossed the line" and would be removed. Where else exactly are these DVDs landing, and who's funding the Clarion Fund? If you'd like to give News & Observer executives a piece of your mind, executive editor John Drescher can be reached at (919) 829-4515, or drescher@newsobserver.com. Or ask for publisher Orage Quarles at the paper's main phone number, (919) 829-4500. (UPDATE 9/15 - Only two papers bravely refused to push this poison on their communities - the St. Louis Post-Dispatch in Missouri and the Greensboro News & Record in North Carolina. The American Muslim website has posted a lengthy list of "Resources for Responding to Obsession DVD Mass Distribution," and a detailed look at organizations and individuals involved in the production, promotion and distribution of the film - "Who is behind Relentless, Obsession and The Third Jihad?" The progressive Jewish group JewsOnFirst.org has a thorough report on the Clarion Fund's background and role in pushing these hate DVDs. Highlights include the film's past ties to the Republican Jewish Coalition, Clarion's rent-an-address location, its incorporator, New York attorney Eli Greenberg, spokesman Gregory Ross' implausible denial that the Fund also paid to distribute Obsession at both the Democratic and Republican conventions, and Ross' statement that the Clarion Fund will not disclose its donors' names. (UPDATE 9/30 - On Sept. 26, four days after the Dayton Daily News in Ohio distributed Obsession to its subscribers, there was a cowardly attack on three hundred American Muslims at a Dayton mosque. Unknown assailants, described by a witness as two white men, sprayed a toxic substance through a window of the mosque into a room where infants and children were waiting as their parents conducted Ramadan prayers. Chris Rodda of the Military Religious Freedom Foundation has the full story, including excerpts from a graphic e-mail sent out by a family member of children who were gassed. Dayton police are refusing to treat the attack as a hate crime. Erik Ose is a veteran of Democratic campaigns in North Carolina and blogs at The Latest Outrage.Digg It. 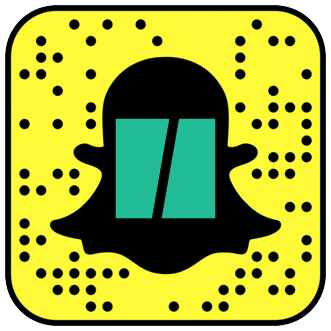 Subscribe to the Politics email. How will Trump’s administration impact you? ©2017 Oath Inc. All rights reserved.